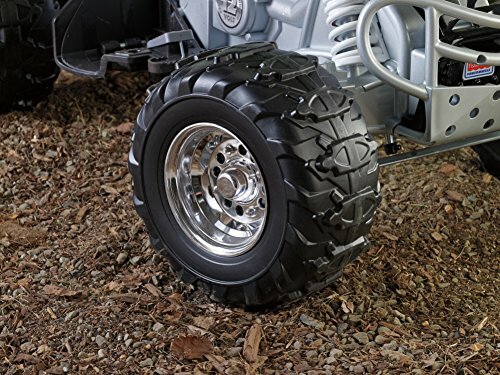 Sleek and shiny styling just like a real ATV! 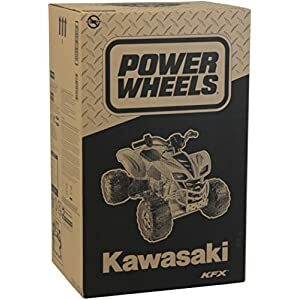 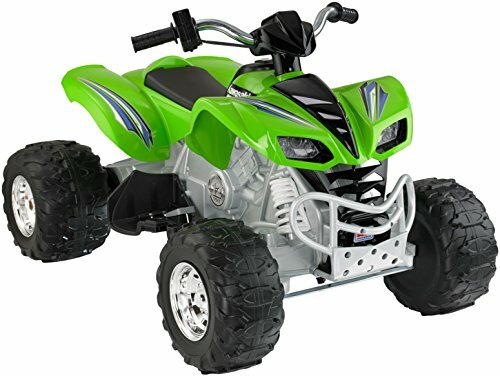 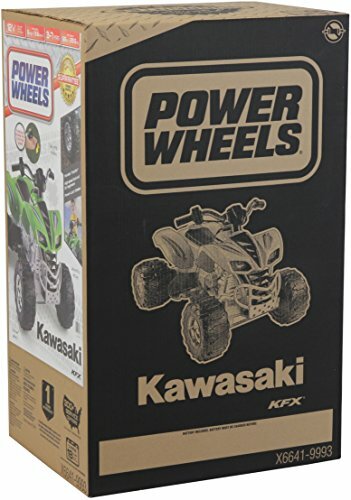 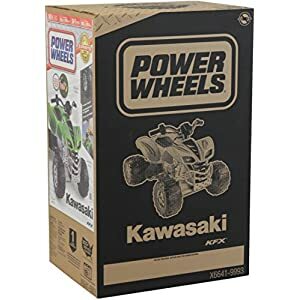 Ruts, wet grass, gravel, mud and rough terrain are no match for this Power Wheels Kawasaki KFX! 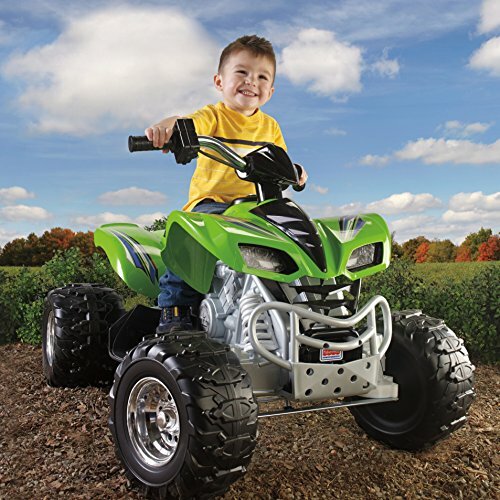 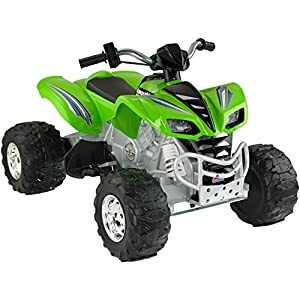 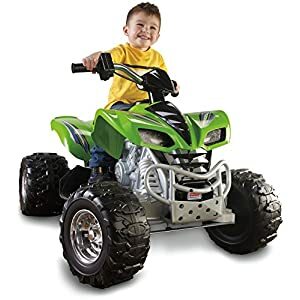 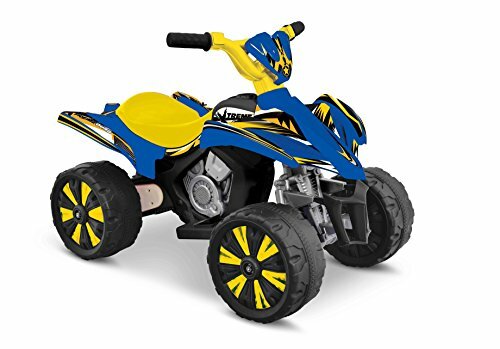 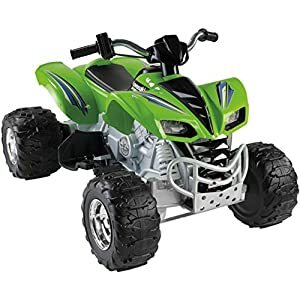 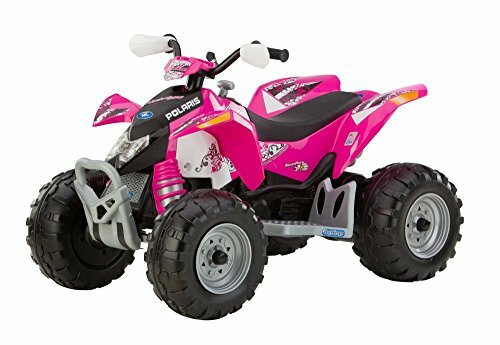 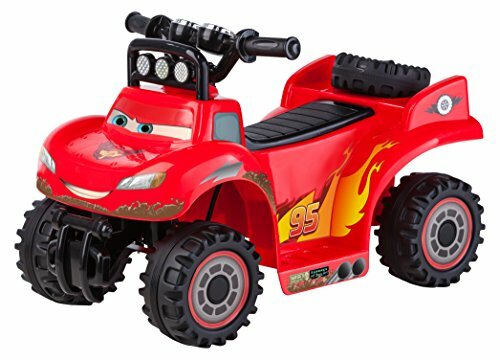 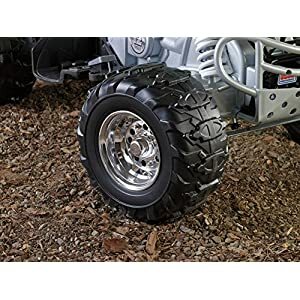 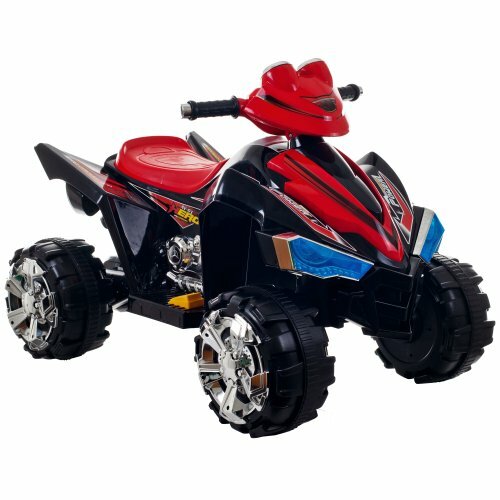 With its Monster Traction, twist-grip throttle and sporty styling kids can experience the excitement of real ATV riding in their own backyard! 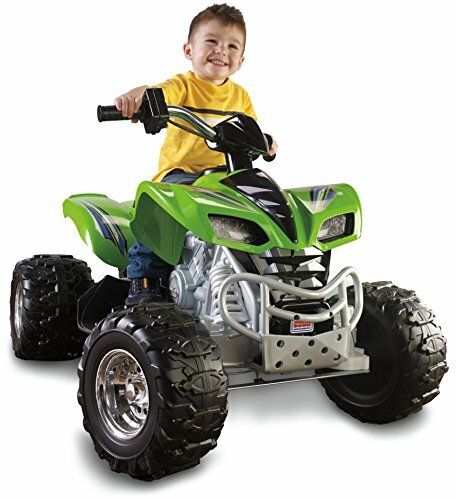 This ATV won’t get stuck where the others do — taking kids on countless thrilling adventures for years to come! 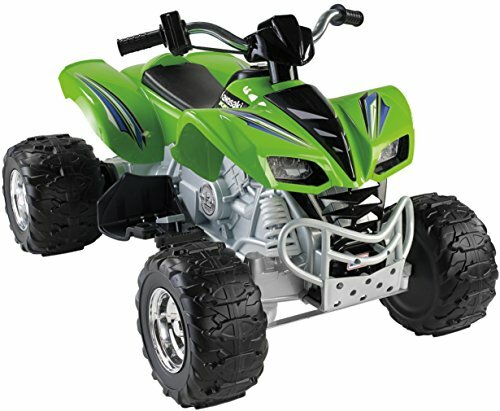 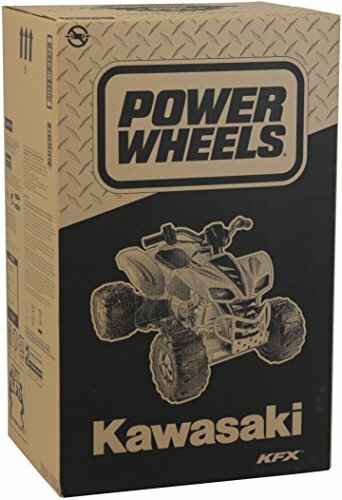 Featuring twelve volts of battery power, it drives with two speeds forward (3 and 6 mph, max. 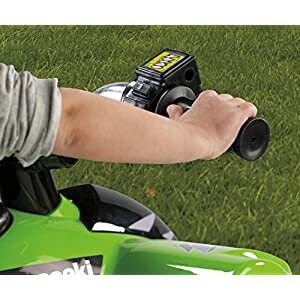 ); plus 3 mph reverse. 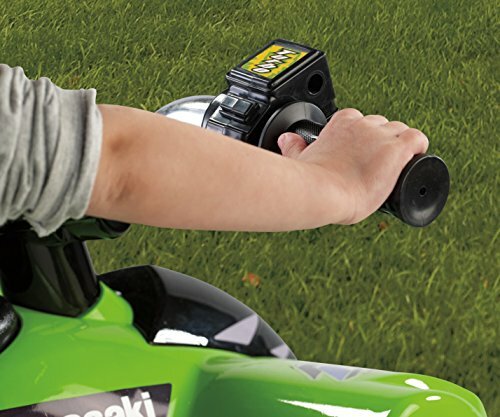 Plus, there’s a high-speed lock-out for beginners and Power Lock Brake System for extra safety.